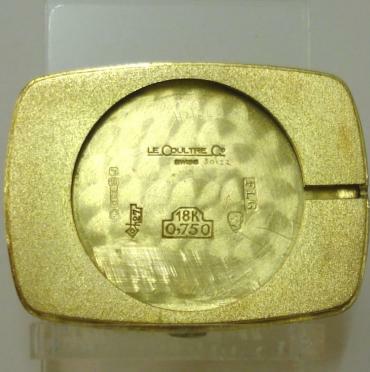 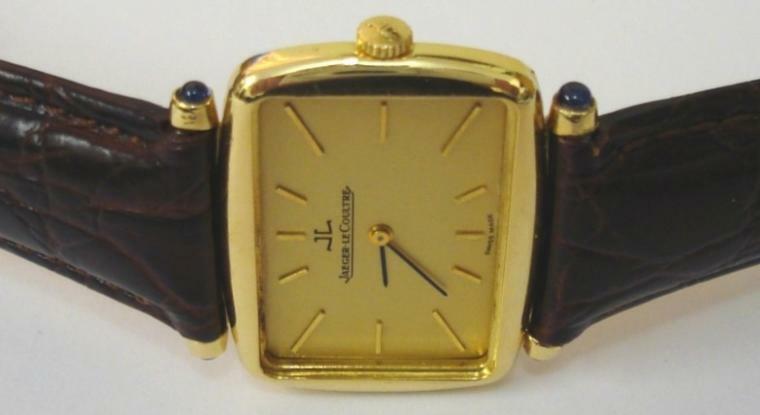 Stock Number: WWIJ002 - Jaegar LeCoultre 18ct Gold Manual Wrist Watch - £1995. 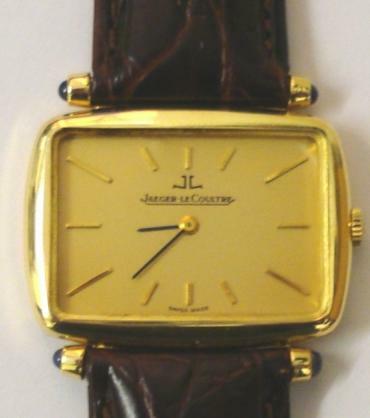 Swiss Jaegar LeCoultre manual wind wrist watch in a 18ct gold case on a brown leather strap with gilt buckle. 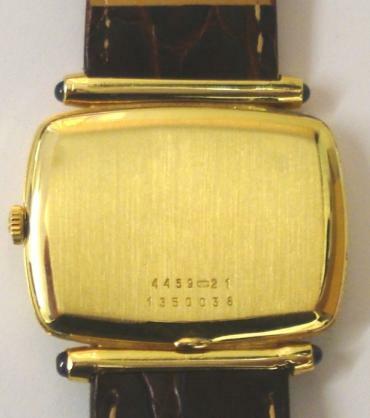 Gold coloured dial with gilt baton hour markers and black and gilt hands. 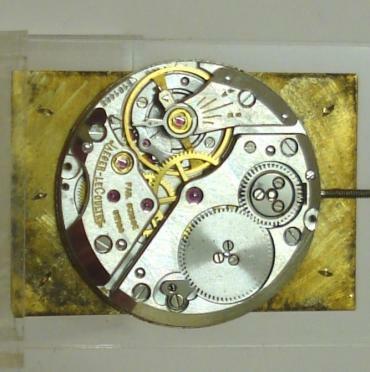 Signed jewelled lever movement with case numbered #4459 21 and #1350038 with London import hallmark for 1972.